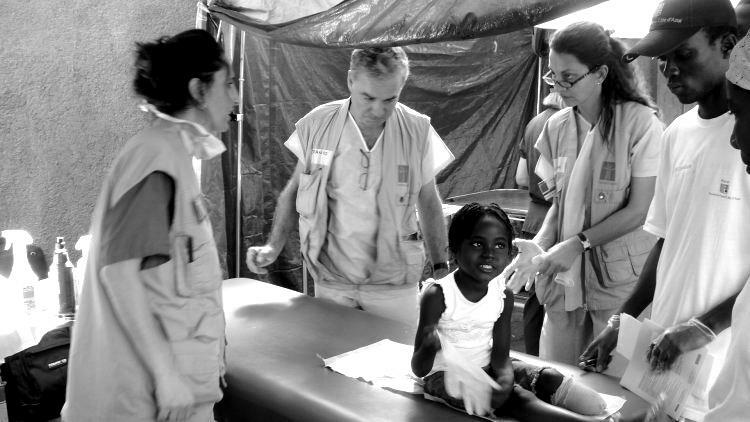 HumaniTerra stepped in to provide relief in Haiti just days after the earthquake on January 12, 2010: four months of emergency reconstructive and care missions and the reconstruction of the “National Nursing School” of Port-au-Prince. The Republic of Haiti was devastated by an earthquake of incredible force on January 12, 2010. 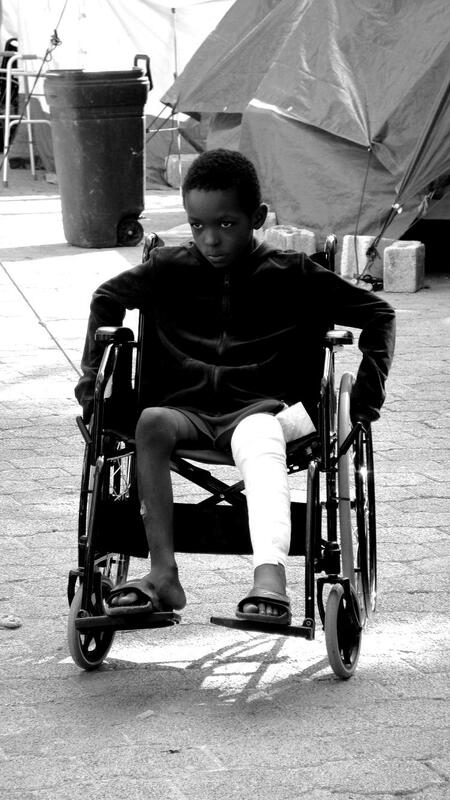 Faced with this disaster, HumaniTerra acted quickly by sending surgical relief teams under the “Humanitarian Bridge for Haiti” program set up by the PACA region. HumaniTerra alone sent 17 medical teams through the months of January to April. 1,500 consultations and 450 surgical interventions were carried out, and 1 ton of equipment transported. Haiti’s Public Health and Population Ministry entrusted HumaniTerra with the reconstruction of the National Nursing School of Port-au-Prince which collapsed during the earthquake, killing a large number of student nurses and teachers. Training scrub nurses and nurse anesthetists was also part of the mission. HumaniTerra International delivered the new National Nursing School of Port-au-Prince (ENIP) to the Public Health and Population Ministry on January 24, 2012. It is a 1,000 m² prefabricated, movable, modular, anti-seismic and anti-cyclonic training centre built from refurbished shipping containers that can accommodate 300 students. The new building opened its doors in February, and students that had been taking classes in makeshift tents were finally able to follow instruction in new, air-conditioned classrooms. Training in Specialized Nursing Care: Well before the earthquake, there was a severe shortage of paramedical personnel trained in anesthetics and operating theatre specializations, which made surgeons’ work more difficult. In the Port-au-Prince University’s Hospital, HumaniTerra trains and strengthens the skills of operating theatre nurses and nurse anesthetists. It also ensures the training of two head nurses, themselves trainers in their specializations, who will be in charge of program follow-up. The Republic of Haiti is confronted with a high maternal and neonatal mortality rate, and with the low status of women in society. More specifically, the island must face the problems of insufficient quality in the care provided to pregnant women and victims of sexual violence. The maternal and neonatal mortality rate there is the highest in all the Americas, and Haiti only has 174 midwives for every 10 million inhabitants (or 1 midwife per 60,000 inhabitants, compared with 1 per 3,500 inhabitants in France), while each year only about 20 midwives graduate. In light of this context, HumaniTerra has committed, along with the Justinian University Hospital in the town of Cap-Haitïen, to improving the quality of care and to increasing awareness of these issues among its populations. A project was designed with the following objectives in mind: to contribute to reducing maternal and neonatal mortality rates, to improve the quality of care provided to pregnant women as well as to women victim of sexual violence, and to participate in bolstering the status of women. The project will take place in Cap-Haitïen and consists in building a network of the various key players involved such as hospitals, clinics, associations; in strengthening the local health care capacities; in setting up community awareness campaigns. HumaniTerra acts in the field in partnership with two local organizations: the Centres for Development and Health (CDS) and the Association des Femmes du Soleil d’Haiti (AFASDA).